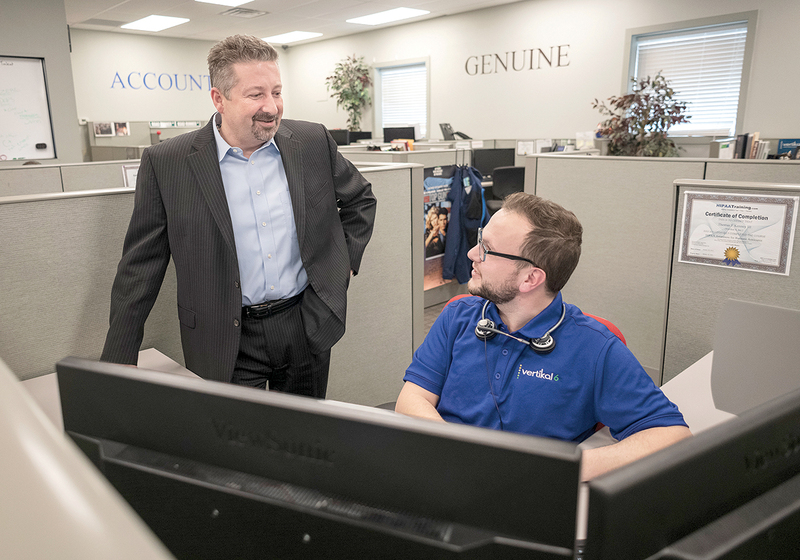 RECRUITING KEY: CEO Rick Norberg, left, speaks with Teddy Kennedy, service desk apprentice, at Vertikal 6 in Warwick. Norberg said the company’s full-time apprenticeships have become the key to recruiting and developing employees. Next articleCan a zoo boost the economy?